BlizzCon is LESS than a week away! I am extremely excited to be there for Blizzard’s 25th Anniversary! Will you guys be there? Or on the online viewing? I will be sure to have tons of pictures for you if you happen to miss it! It was also Artstation Day on Oct 26th. A spontaneous holiday that I fully approve! I suggest visiting the Ten Thousand Hour FB group to see all the Artstation links that was posted! Find a new artist to admire and follow. Last but not least, some bit of Guild News before we start the inspirations! New workshop will start this Tuesday, Nov. 1st! We will be doing something a bit different than what we used to. We will dedicate a whole month to the theme, which this time around will be Fur! Details will be given on Tuesday in #the-workshop channel on Slack. 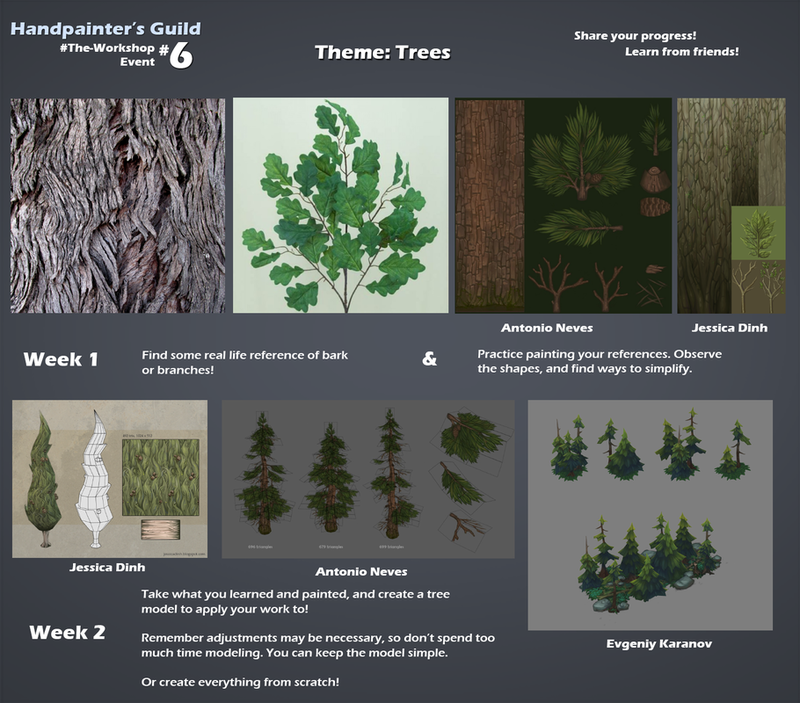 If you are not familiar with #the-workshop, it’s a guild activity where we focus on a specific material and thru peer learning help each other get better at texture painting it. Participation does require Slack membership. Now on to the Inspirations! Nomad 33 has been hard at work making this sweet Battle Chasers fanart. You can check out his progress at Polycount as he continues to work on finishing this amazing character. Antonio Neves is at it again! I’m looking forward to seeing more progress on this. Watch his progress at Polycount. Ana Mendes (aka Zaphk) made some creatures for the DOTA 2 Workshop! They are all very cute! Look at the rest of the creatures on her Artstation. 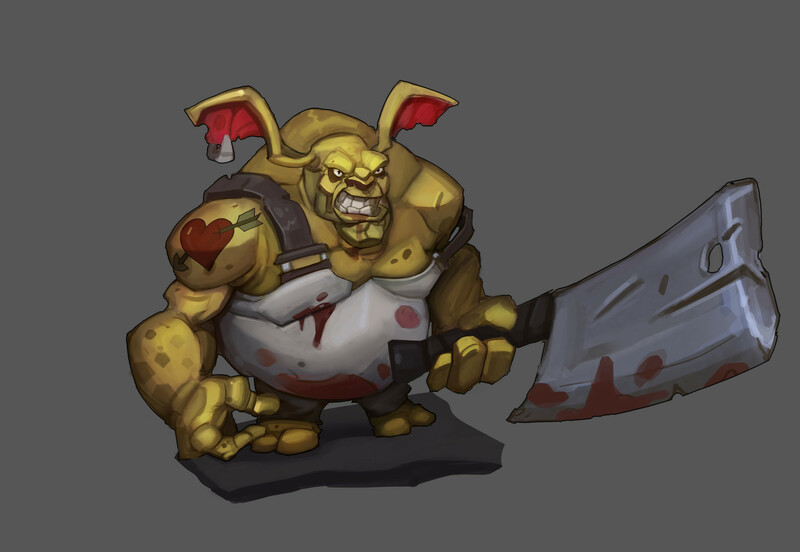 Ivan Migay has recently posted a ton of images on characters he’s made for a couple of games. Charlène Le Scanff (aka Catell-Ruz) posted a close up of the new Tyrande Hearthstone Card! 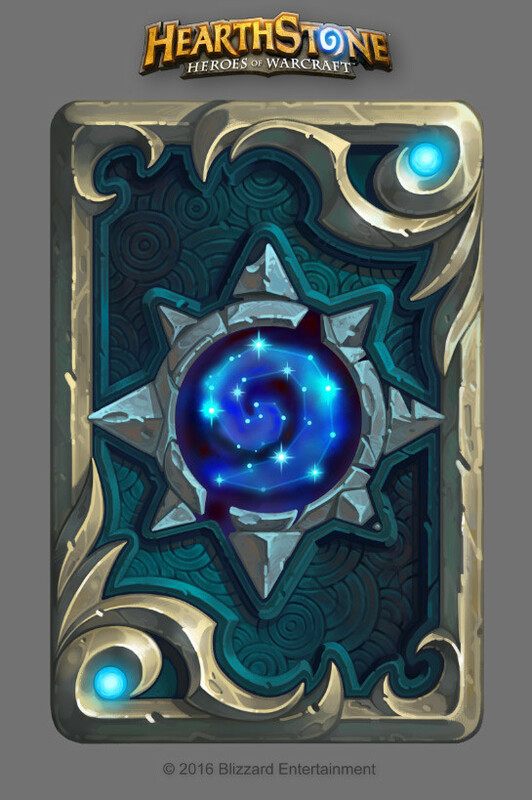 See it here on Artstation, and other Heartstone cards on her account. 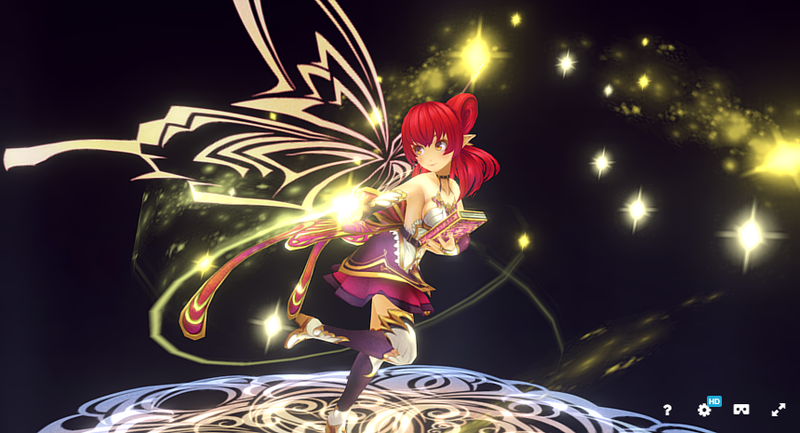 Yanagi on SketchFab posted a wonderful scene of this fairy prancing among her magical sparkles. View the scene here. 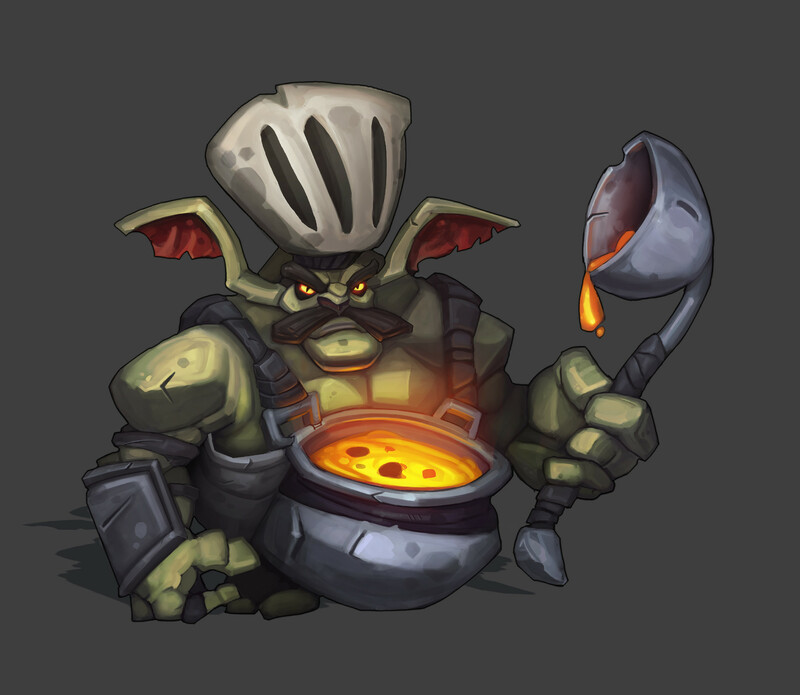 Drahkas Oguzalp Donduren posted some really neat concepts of mean looking….goblins? 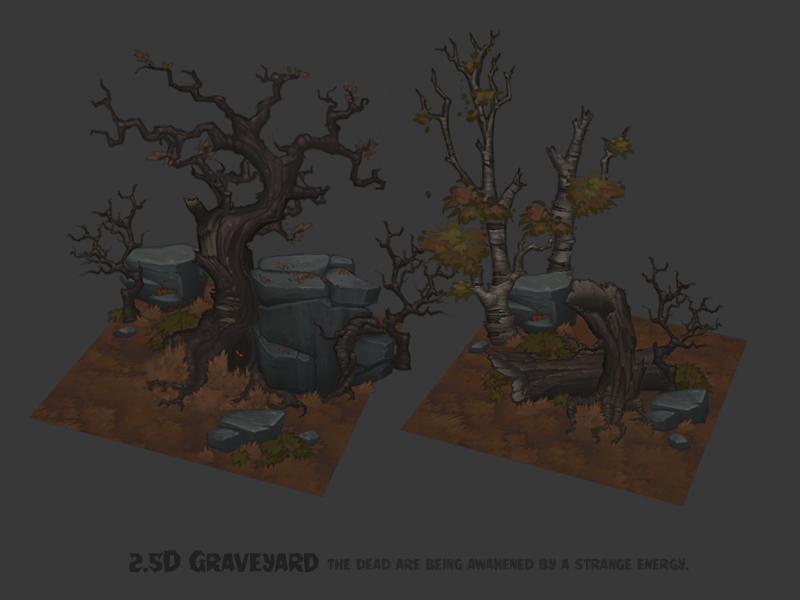 You can view one here and the other here on his Artstation. Though I highly recommend you check out the rest of his work on Artstation. He has more than just 2D on there, and they look equally amazing!